Founded on December, 20th 2000, China Tietong is a leading player in China domestic telecommunications market and also recognized as one of China’s major basic telecommunications enterprises. To satisfy the ever-growing customers and improve the system efficiency, Tietong selected Synway hi-speed SS7-enabled SMG2120 VoIP Gateway for telecommunications IP calls and global business infrastructure at the beginning of 2014. 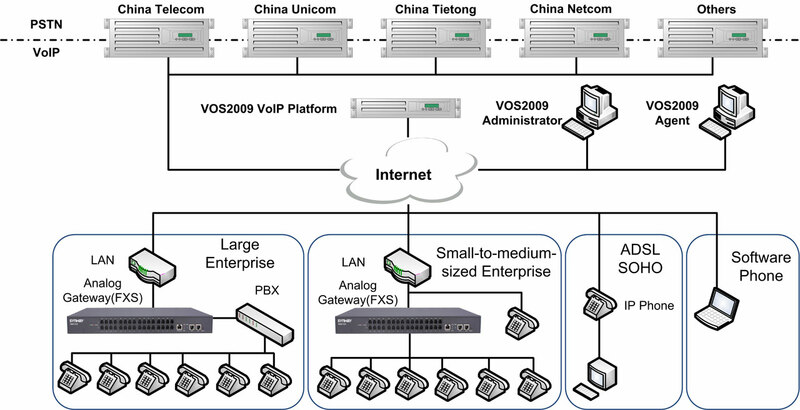 The solution offered by Synway allowed Tietong to develop more competitive VoIP systems. Based on SMG2120(120Chs in 1U) and SMG3016(480Chs in 1U), Tietong was able to deploy an easy-to-use VoIP solution with friendly user experience, high scalability and communication efficiency within a short time. Advanced voice processing and SS7 signaling ability to ensure superb VoIP communications experiences.